Our Peruvian team ‘Remando Juntos’ has been working hard since they formed in November 2014. 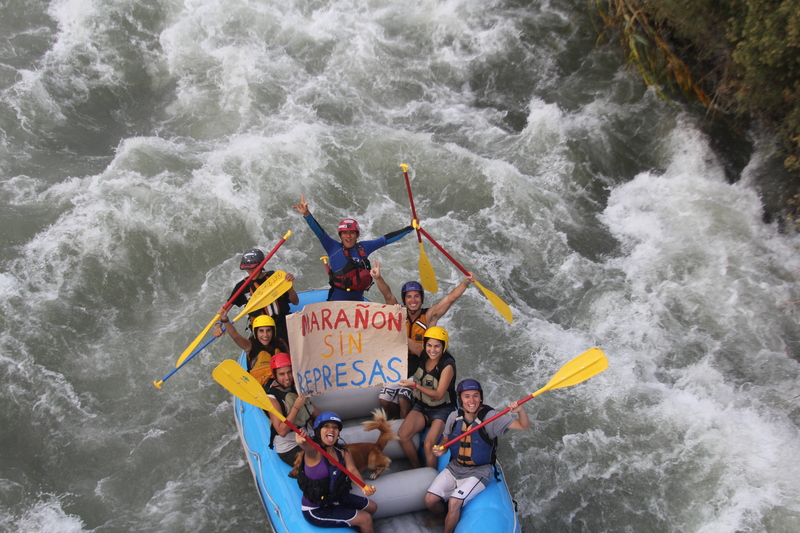 They are creating a media & grass-roots advocacy campaign to bring attention to these issues, educate Peruvians about the impacts, and create a community which can defend the Marañon River. See the Remando Juntos facebook page from mid April onwards, when our campaign really starts to heat up. We will also be launching a website, and sharing information through the Conservamos por Naturaleza platform. The Remando Juntos team is youthful, energetic and motivated. As a side benefit of this project, we will leave a legacy in them which will help to defend the natural and social heritage of Peru into the future. Develop partnerships & alliances in all levels of society. Work with and lobby government to stop these dam projects. Remando Juntos Expedition in July, 2015.